Instagram has been testing a “Recommended for You” feature that is now rolling out widely to all users, reports TechCrunch. 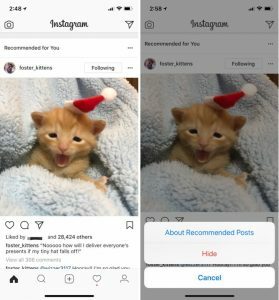 Recommended posts show up in your standard image feed and are suggested based on posts liked by accounts you follow. 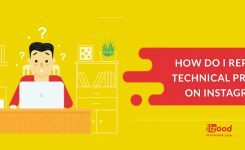 When shown in a feed, these posts are denoted by a label at the top that clearly marks them as recommended, similar to how sponsored posts are handled. With recommended posts, though, Instagram shows several in a row instead of just one. Recommended posts and videos have previously been displayed in the Explore tab, but are now being featured more prominently. 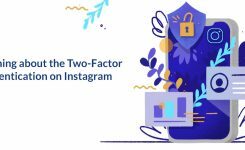 Instagram users now have several feed interruptions, including these new recommended posts, sponsored posts, and stories. Instagram has been slowing introducing changes that bring posts from people who aren’t actively followed into the Instagram feed. 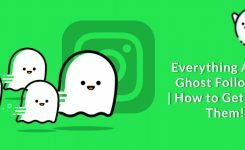 Earlier this month, for example, Instagram added a feature allowing users to follow hashtags rather than individual Instagram accounts.